Philippines — An earthquake with magnitude 5.4 occurred northeast of Looc, Occidental Mindoro Monday evening. Phivolcs said the quake was tectonic in origin, had a “depth of focus” of 101 kilometers, and no damage could result from it, but aftershocks are expected. 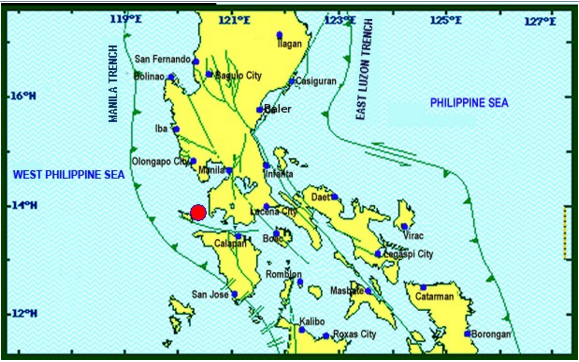 US Geological Service said the epicenter was in Balitoc, Calatagan in Batangas. USGS recorded the quake at magnitude 5.8.